I want the organization of the Maxpedition falcon ii. I don’t like that it is so “deep” making fit stick out so far from your back. I really like some of there packs but they are missing the waist belt that I need??? Organization is a must. A sling bag would be to tiring on long hikes. I crawl through brush occasionally, hike short hikes a lot and long hikes occasionally. Weight is a minor factor, because I don’t need a large pack anyway. I think I ‘m done with REI type but would like any input on organized packs. Thanks, there are a lot of good points here. Love maxpedition, been using vanquest now for last year love there stuff. Enjoy the thread. Would like to chime in. I am prior service, Army. I have my large Alice Pack. Sorry cut myself off. I sent my large Alice pack from Saudi to Tactical Tailor to have it modified. No longer carrying rounds. I got a new frame from DEI ( more of a molle style frame). I have added a Sleep system carrier on the bottom. I plan to use this to hike the AT in sections. I prefer the comfort of the frame, and the familiarity of the pack. I will go light with tarp, hammock, cooking gear etc… Love the pack and frame combination. Very comfortable. Yeah the large ALICE pack is great. Very durable, it holds a ton of stuff but its also very compressible for smaller loads. Its got good back ventilation for hot weather packing too. Most of the new assault packs and “bug out bags” with all their unneeded features weigh almost as much as the large ALICE pack but you can’t fit 1/2 as much stuff in them, and despite the 1000 denier Condura they’ve got clamshell zippers and plastic clips that can break. Large ALICE FTW. As to appearance, I relaxed a lot on avoiding military look when I realized I can use a slip-on backpack raincover over it and it’s instantly disguised to look civie. USMC surplus ILBE pack for internal frame and FILBE (or “USMC Pack”) external frame is a heck of a unit. ILBE is great if you don’t wear armor. FILBE is better with armor and probably better for heavy road march. Real-world 120# everyday packs with poor Marines loaded to over 100% of body weight. Comfortable up to 60# for me (40% body weight). Lots of compression straps to pull the weight in close to the back and prevent shifting. It’s a $700 pack that you pay $100 for like-new. Why does no one ever mentions Hunting packs? The sit between Military and Hiking packs for weight and are one of the more Durable packs on the market. they all make hunting variants as well, and they are quite a few others offering carbon frames for weight and strength etc. 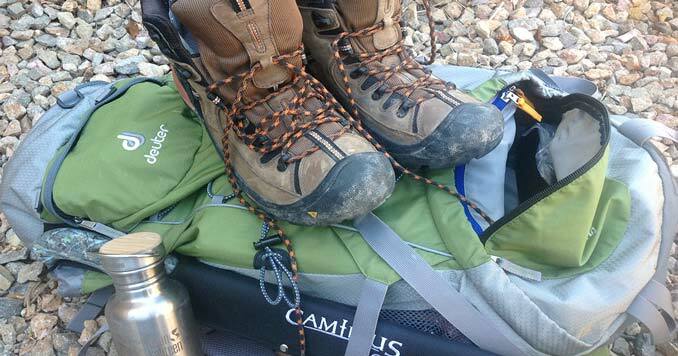 Hiking packs are not durable enough, for a long duration. Hunting packs are designed rugged and for carrying heavy loads, like meat back to the camp. So don’t limit your looking for Haz4,5.11, Maxped etc. If you are going to spend in those ranges a hunting pack could be for you! I been using my madden pack for a hunting bag for some 34 years now it works quite well….and you are correct on this matter…. I love my Gregory packs for hiking and camping. But hunting packs are the way to go for SHTF. Buy 3-7 internal bags for organizers. Rheybalso help out with shifting the weight around. I’m considering a pack to build my BOB around. How come the Condor 3 day assault pack didn’t get mentioned? It really looks like a great pack and the price is definitely right at under $70 on Amazon. YouTube abounds with tons of positive comments as do a lot of the Survival forums yet I see nothing here. Am I missing something about this pack? I’m much more from the “built stout and heavy” school when it comes to packs. My current pack holds 6,000 cu. in. and weighs over 4 lbs. Yea, it’s heavy…but it’s built heavy and I’d rather have that peace of mind. Instead of sacrificing weight on a pack, I focus on training more, that way I can “more comfortably” pack heavier loads if the time comes. I also choose to pack lighter versions of certain gear, and learned to fabricate things that I don’t necessarily “need” to carry. I think practicing bushcraft should play an important role in preparedness. The more skills you have, the less you need to pack. 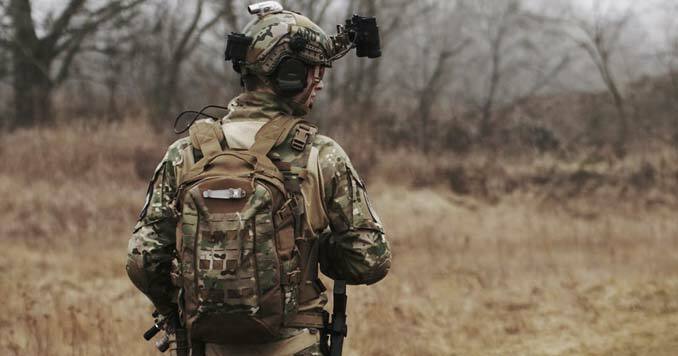 Just remember too that a military backpack is going to stick out a hell of a lot more so than a basic hiking bag or even say a school style backpack. While the advantage of a military pack is that you get the compartments to organize, a civilian pack won’t stick out as much if you have to choice but to go past a crowd of people while bugging out. This is entirely a non-issue in certain areas where people using camo is considered normal, RE;the south or any rural area. And for anyone else? You can make a military pack look entirely civvie just by sticking a colored tire cover over it, available at any Walmart or auto parts store for around $8. Sorry, but I just don’t buy this line as being an advantage to civvie gear. I’d rather keep the long term/end game potential of my field pack just by adding a lightweight tire cover to ‘camoflage’ it in more crowded areas should such become necessary. My neighbor is in the reserves, I’m a vet that’s been out for 24 years. He showed me the bags they’re giving soldiers now and they haven’t changed a great deal from the bags we had back in the day. I have a Rush 24 and an Osprey Atmos. The Atmos is far more comfortable for hiking but the Rush 24 is vastly superior when it comes to organization of my gear. It’s really a tough call between these two packs since they each have desirable attributes of their own. But since I just added a zero-degree sleeping bag, thermarest pad, and ultralight 2 man tent to my supplies I am pretty much forced to go with the Atmos. If you can get by without those bulky and heavy items (they add about 10 pounds to the pack) then I would go with the Rush 24. A whole lot of “humble opinions” out there. Here is the truth. These packs may be fine for some young buck out there with more strength than years, but for the majority of prepper(most of which are over 45) a pack is not a practical prep. As I have matured over the years I realize my limitations and that the only way I’m moving any worth while quantity of anything 15 miles a day is if it has wheels and I’m dragging it. 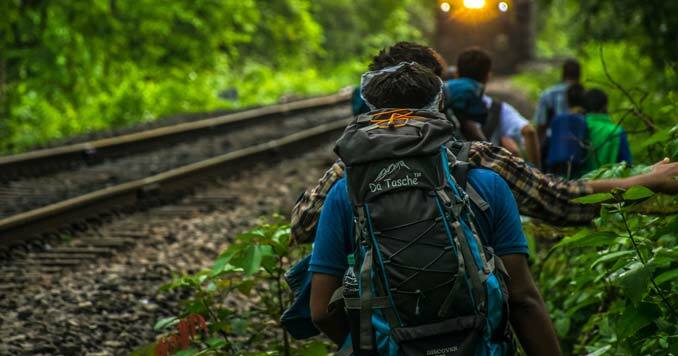 Many rolling bags of all different sizes and features can be had that also allow it to be carried pack style for short cross country treks (short cuts). We’re all getting older and if you’re leaving for good, do you really think you can afford to leave behind “everything” over thirty pounds. That extra 500 rounds might come in real handy over time. 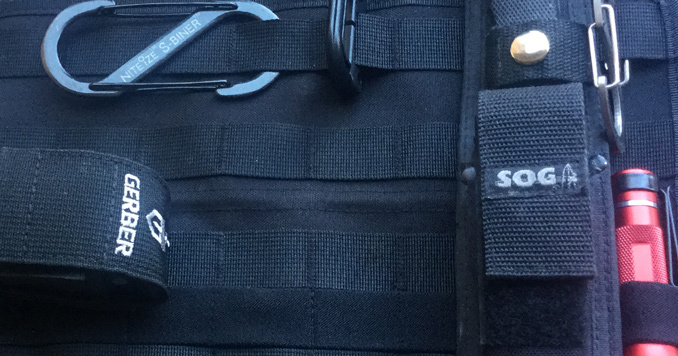 These rolling packs also allow you to tie additional gear to the handle, etc. for additional capabilities. Get real and buy what you can afford and what you can honestly get more than 3 miles from your house with. 30+ years prepping and I’ve tried it all. Pratical advice with realistic expectation. Appreciate your Pack on the wheel suggestion. I am thinking to buy Outdoor Hiking Backpacks. Would you like to suggest any direct link(amazon or ebay?). You know very well about this thus i can trust your direct suggestion. I have mix experience about normal military backpack and civilian backpack. 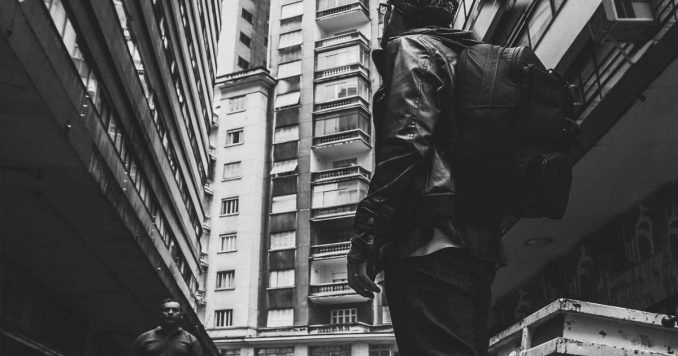 Military backpack very high quality and it runs long but price is high. Civilian backpack price is low and it is also not lasting. After buying a survival backpack, I have never gone back. The quality is better and they lasts much longer. Extremely useful information and really love the military packs but possibly wil get hiking pack because might be walking long distances and would like something light. Thank you extremely for everything you do.